The Mercy Hospital is a 330-bed acute general hospital providing in-patient, day-patient, out-patient services and emergency medicine services. Second largest hospital in Cork. Vital role in the delivery of acute hospital care in Cork city and HSE southern region. Located in the busy centre of Cork, the Mercy Hospital is one of two Voluntary Hospitals in the city. 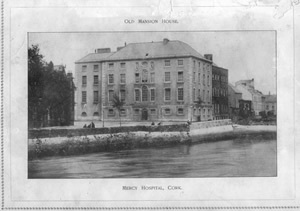 The oldest part of the Mercy Hospital was built between 1764-1767, originally as the Mansion House for the Mayor of Cork. 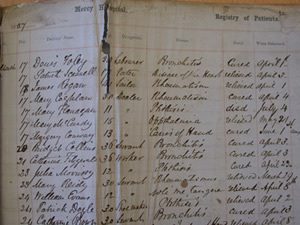 Later became an educational establishment before becoming the Mercy Hospital on 17th March 1857 when the Sisters of Mercy established a hospital for the sick and poor of the city. 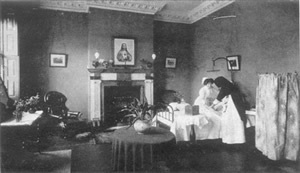 The Hospital began as a 40-bed hospital staffed by four Sisters but in the intervening years it has expanded rapidly both in terms of facilities and accommodation. In the last four years, the Mercy Hospital has undergone very significant capital development, spending over €15m on relocating its public wards into a new building and the further development of various specialties within the hospital, including a 50-bed acute psychiatric unit and new pathology and clinical pharmacology units. The Hospital participates in the Medical undergraduate training programme that runs in association with the National University of Ireland. The Cork Voluntary Hospitals School of Nursing is based at the Mercy Hospital and participates in the Registration Diploma Programme in General Nursing in association with University College Cork. These plans provide for both the expansion of existing services and the development of new services. The Mercy University Hospital has an Escalation Policy to alleviate overcrowding in the emergency department.